Bazenville is a village 8 kilometres east of Bayeux. 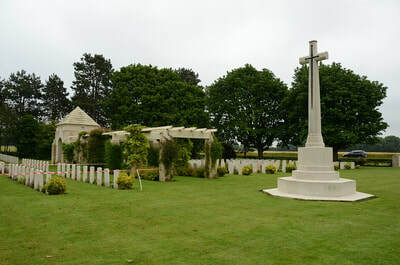 Leave Bayeux on the D112 to the east; at the village of Sommervieu carry straight on, following the D112, and after 3 kilometres turn right onto the D87. 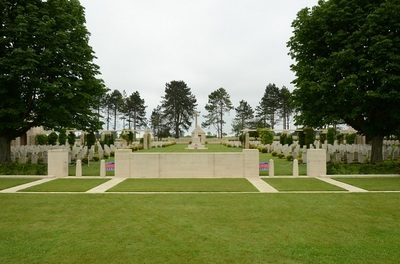 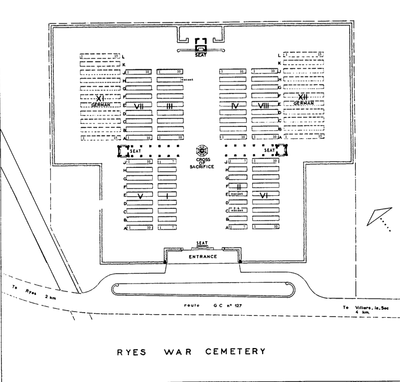 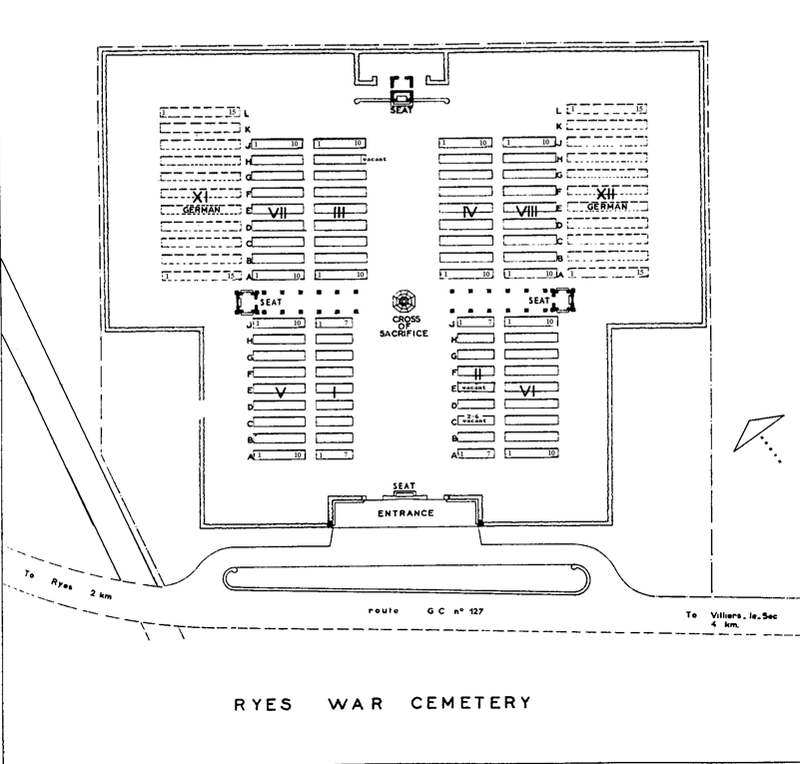 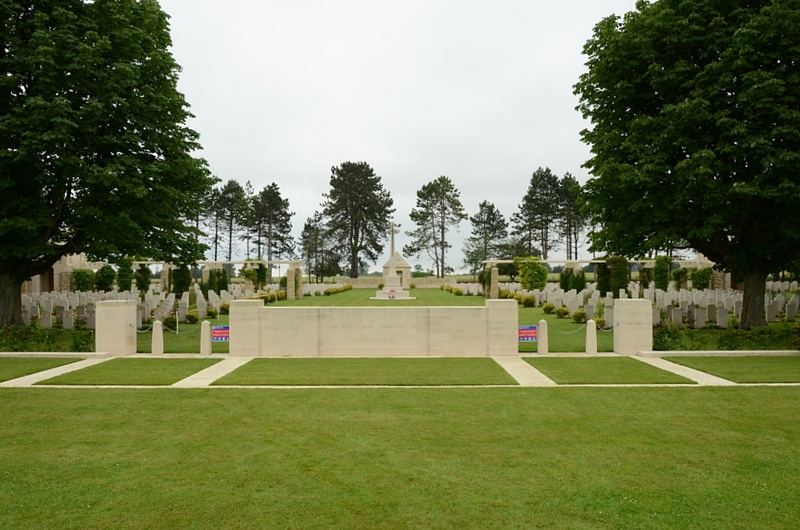 After climbing round a bend to the left, Ryes War cemetery will be found on the left hand side. 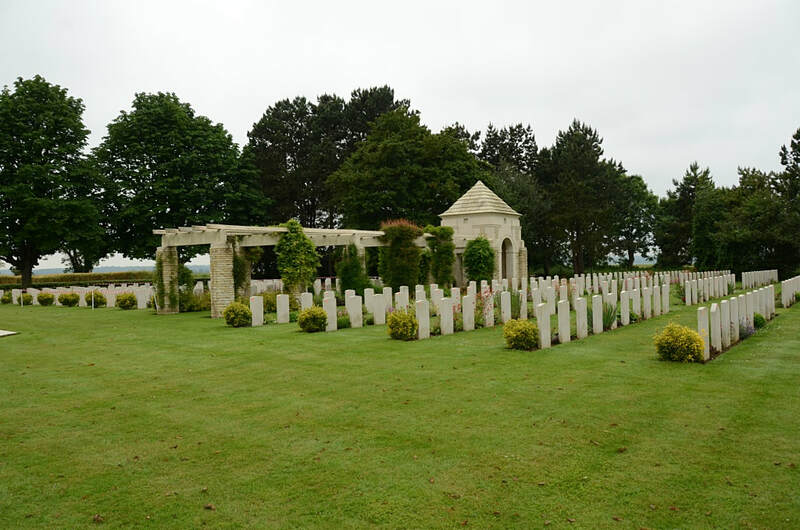 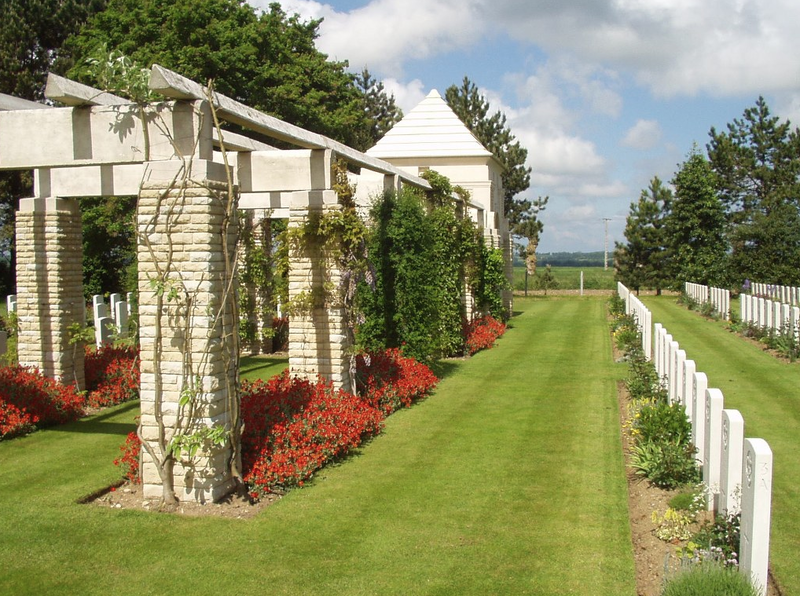 Ryes War Cemetery is not far inland from the beaches at Arromanches, where the 50th Division landed on 6 June. 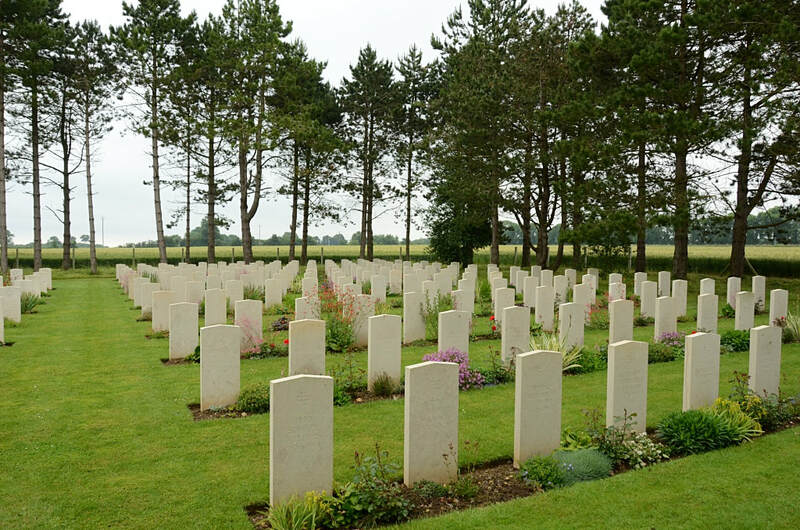 The first burials were made there just two days after the landings. 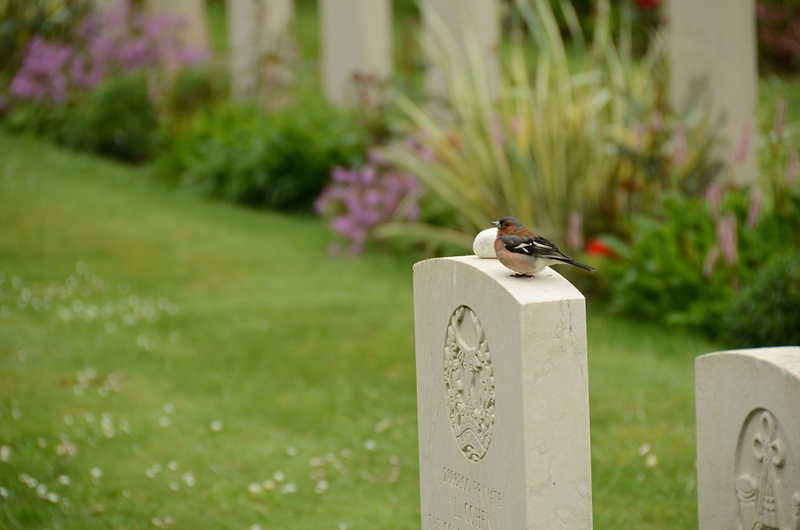 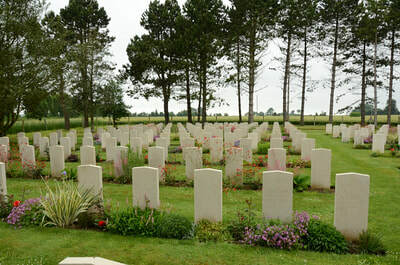 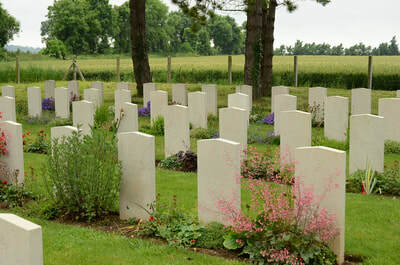 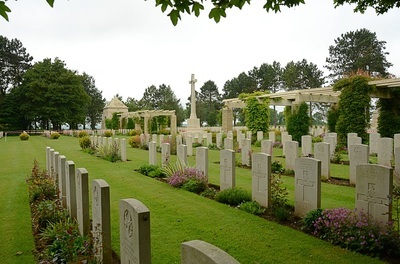 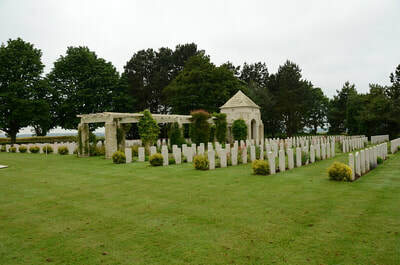 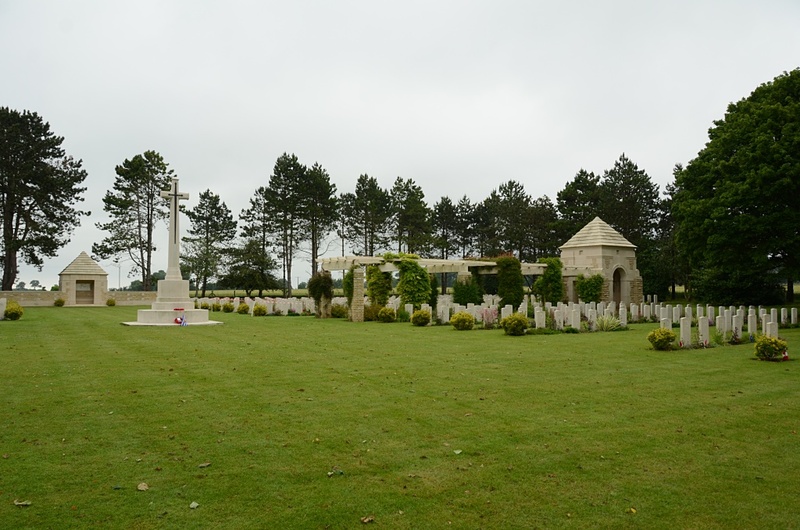 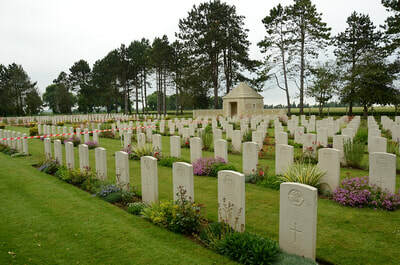 The cemetery contains 652 Commonwealth burials of the Second World War. 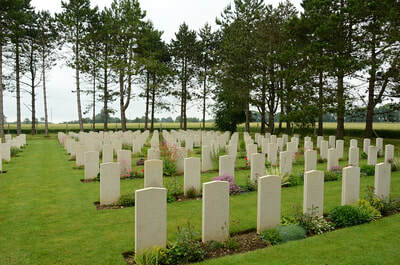 There are also one Polish and 335 German graves.